The alarming rate of deadly crashes involving 15- passenger vans has been the subject of calls for action by consumer groups for years. Statistics from the National Highway Traffic and Safety Administration show there were 1,090 fatalities between 1997 and 2006 in 15-passenger vans, 688 of those in rollovers. Recently, three people were killed and six others were injured when a van went down an embankment in northeast Georgia. That was just one week after a 15-passenger van crash that killed eight members of a Florida church. Public safety advocacy groups such as Public Citizen and Advocates for Highway and Auto Safety have been advocating for years for recalls, retrofits and redesigns of 15-passenger vans on the grounds that they are unstable. 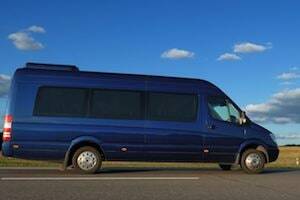 In a 2002 letter to NHTSA, which accompanied Public Citizen’s report, Claybrook noted that because such vans are often used by churches, schools, sports teams, and eldercare centers. It suggested that manufacturers retrofit such vans with four tires rather than two on each rear axle to improve stability. Neither the manufacturers nor NHTSA imposed such a requirement. However, NHTSA has issued safety recommendations for using a 15-passenger van, including checking tires and tire pressure, using drivers with specific training on the vans and seating people near the front when the van is not full. According to the safety advocacy groups, the 15-passenger vans are inherently unsafe because they have a high center of gravity to start with, and when they’re fully loaded it’s even higher, so they have a tendency to roll over. A blown tire can unbalance the vehicle since the blown tire is lower, even just a few inches, and the load shifts toward that point. That shift of weight can be enough to cause a roll over. The National Transportation Safety Board issued a 2002 report on van rollovers after studying 20 years’ worth of crashes. It concurred that fully loading such vans affected safety, finding the rollover rate for fully loaded or nearly loaded 15-passenger vans is about three times the rollover ratio of vans with fewer than five passengers.